Home/Newsworthy/Met with Russia´s Next President? Met with Russia´s Next President? 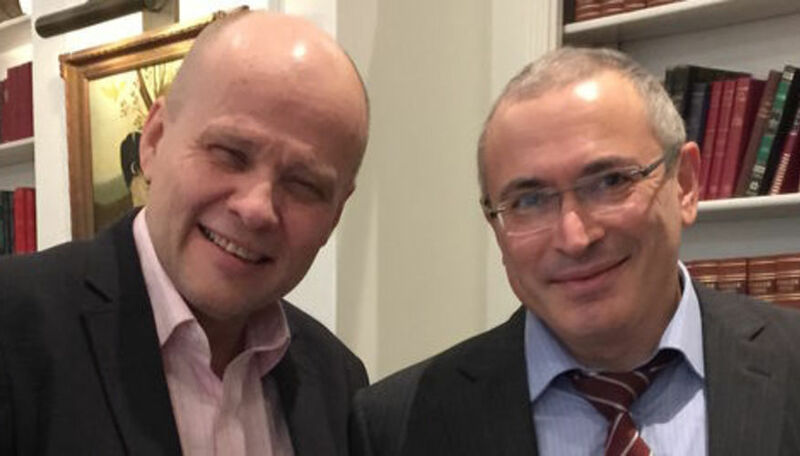 Jan-Aage Torp has today met with Mikhail Khodorkovsky in Brussels. Khodorkovsky is the leading dissident voice from Russia after spending 10 years in prison because of allegations from President Vladimir Putin. - The meeting happened seemingly by chance, states Jan-Aage Torp. - I am in Brussels for the European Parliament´s Annual Prayer Breakfast, As I entered the hotel where I am staying, I sat down in the lobby to have a cup of coffee, I noticed two men in deep conversation, and I immediately recognized Mr. Khodorkovsky, who spoke in Oslo six weeks ago at the political thinktank that I attend. At that meeting, I had asked Mr. Khodorkovsky a public question about the situation of the Jews in Russia, and he answered very candidly, being a Jew himself. - So today, when I saw him, being rather bold hehe, I raised my voice and said: «You are Mr. Khodorkovsky!» Through his friend who translated from Russian, he exclaimed: «The priest from Oslo!» alluding to the fact that I often wear a priestly collar in my own nation. For 10 years, Mr. Khodorkovsky was imprisoned by Vladimir Putin, but was released last year after diplomatic pressure from the European Union. A Russian Jew, he was formerly Russia's No 1 Oil Tycoon, one of the world's richest men. - Perhaps Mr. Mikhail Khodorkovsky is the solution to the challenges of the former Soviet sphere, ponders Jan-Aage Torp. 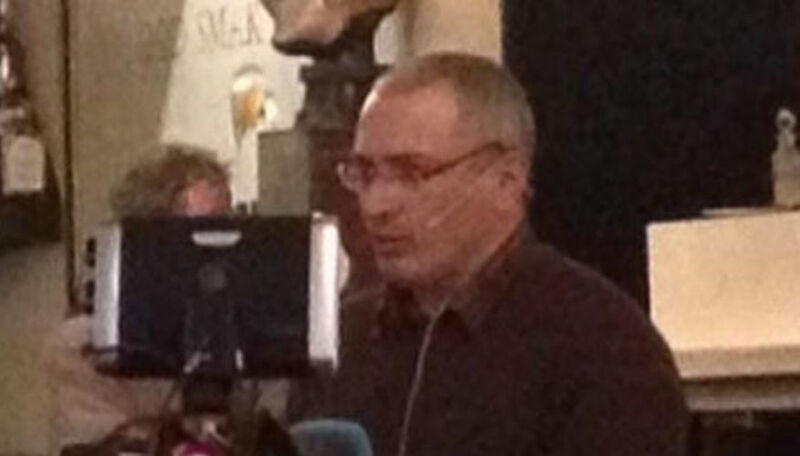 A photo Jan-Aage Torp took of Mikhail Khodorkovsky when he visited Oslo in October.